Skoogmusic announces the launch of Skoog 2.0. The latest version of their revolutionary musical instrument designed to empower those unable to play traditional instruments. Following a successful crowd funding campaign in 2015 the ground-breaking development in accessible music technology is now retailing globally with Apple Inc. 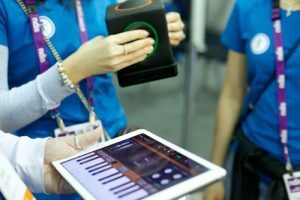 The Skoog device is an accessible, tactile cube that allows children with disabilities to explore the creative opportunities available on iPad and iPhone. Now anyone unable to play traditional instruments can join an orchestra or band and take part in a range of music-making activities. When developing Skoog, young people with autism were one of the key groups that Skoogmusic worked with. Accessibility is of particular importance in education, where inclusivity and breaking down barriers for children are vital to ensuring equal opportunities for expression and creativity. As Dr John Bidduplh (Autism Consultant) says, Skoog offers access “like no other device”. You can learn more about how Skoog can be of benefit to young people with autism on Skoogmusic’s Blog. Skoog 2.0 comes with a host of exciting features, including the ability to play wirelessly via Bluetooth on iPhone and iPad, as well as integration with iTunes and Spotify to allow users to play along with their favourite tunes. 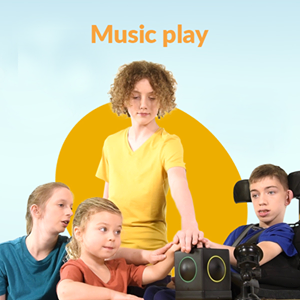 Roughly hand-sized and built on the principle that technology products should be accessible as standard, its revolutionary soft, tactile design provides a level playing field for people of all ages and abilities to be able to make music. Skoog 2.0 is available today on Apple.com, and in selected Apple Stores across the UK (and EU) retailing at £199.95.